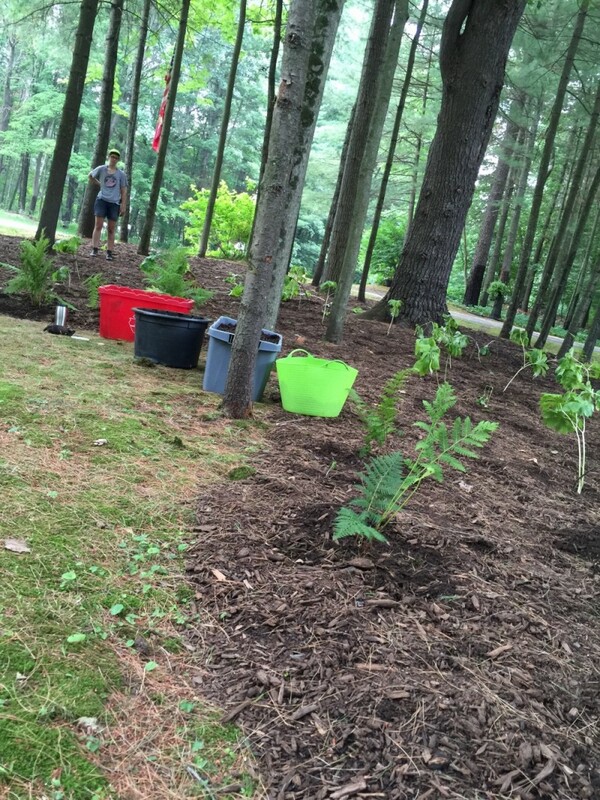 This summer we designed and installed a new woodland garden in Saratoga Springs, NY, in the neighborhood near Saratoga Lake. Shade gardens are one of the easiest places in the property to landscape sustainably, because of the rich and diverse body of available native plants that thrive in shade conditions. Many people assume that the base plant of a shade garden should be hosta, which is non-native and has zero support for our local butterfly and bird populations. The reality is the options of native wildflowers that will thrive in a shade garden situation are myriad, and much more interesting than hosta. Native plants can act as host plants for our butterfly species, and this fills a garden with much more life and action.